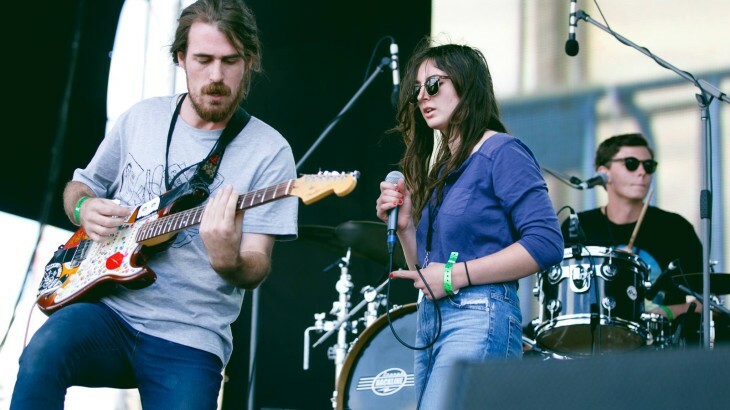 After coming to attention in 2015 as the winner of Triple J’s coveted Unearthed High prize, dreamy Perth duo Mosquito Coast have been moving from strength to strength, with no signs on slowing down. They’ve recently announced a big national tour kicking off in early February, including a set at Mountain Sounds Festival on NSW’s Central Coast. Now in its third year running, the festival will take place over two days for the first time, and will see performances from Hermitude, Rufus, Dune Rate, Ngaiire, Skeggs, and many more of Australia’s more beloved indie, rock and electronic acts. We wanted to get to know Mosquito Coast, aka Naomi Robinson and Conor Barton, a little better before they head off on the road, so we asked them to share three albums that changed their lives. I was always a fan of Cut Copy since hearing the single Lights and Music, but it was when I first listened to the track, Where I’m Going that I really fell in love. I still always listen to the whole album though – there are no bad songs on it. I especially love the tracks with acid house leanings and lots of percussion. It’s such a diverse album, jumping from stomping house to almost surf rock. I’ll probably never get sick of it. I remember driving to school in the morning and I would always put on The Stones Roses debut album and blast it. It’s a really chill album with lush chords. We’ve both always had such different tastes in music, but Lonerism was one of the first albums that we were both awestruck with. Kevin Parker took everything to a whole other level, merging psych with pop so effortlessly. It was also cool to see someone from Perth become so influential – he’s a home-grown hero. Mosquito Coast’s full tour dates can be found here. Mountain Sounds takes place from Feb 17 – 18 2017, tickets here. Three albums Mosquito Coast. permalink.